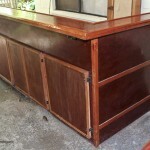 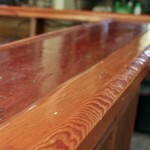 I built this bar with a good friend of mine using reclaimed lumber from a remodeling job. 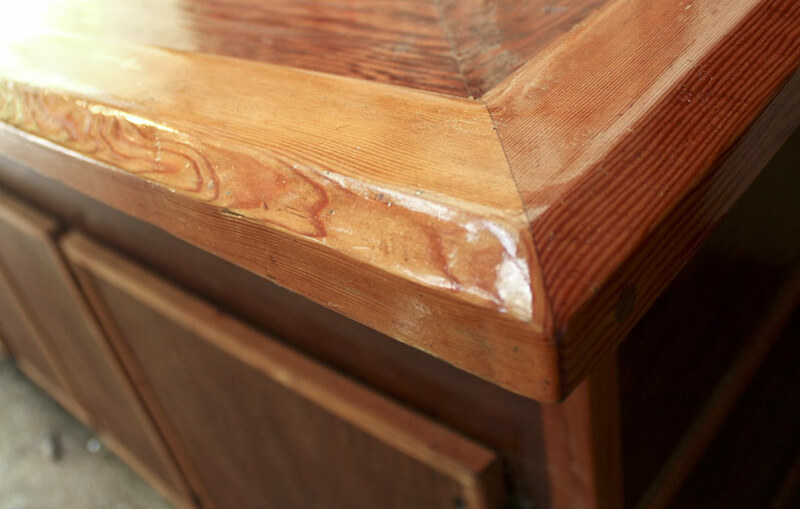 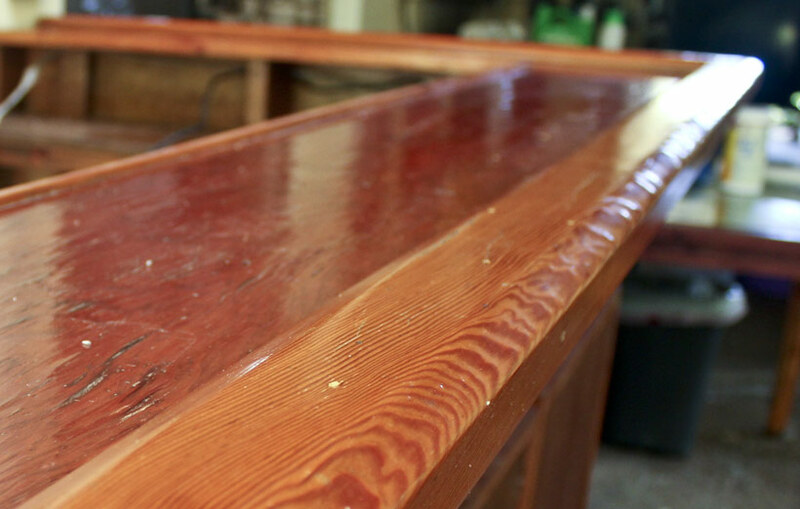 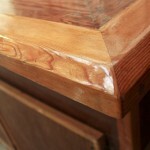 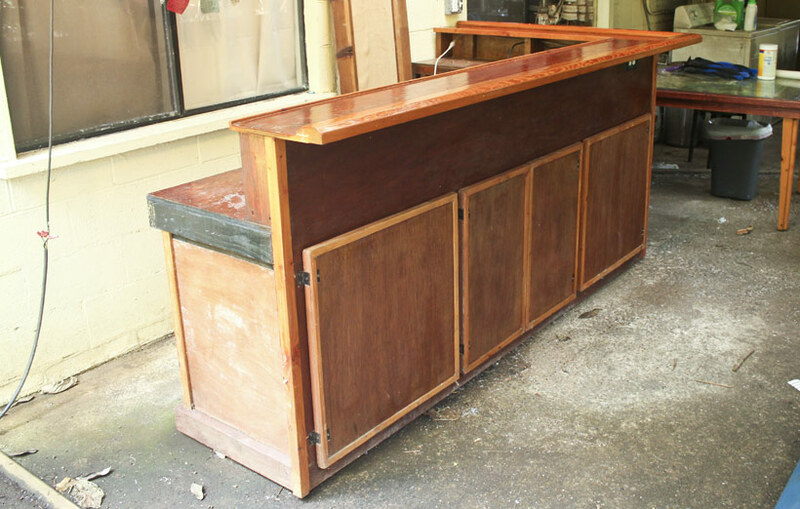 The rails and bartop are made from upcycled old growth Douglas Fir – the grain patterns are amazing. 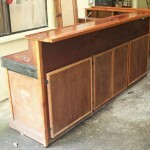 The completed size is 96″ wide by 48″ long and stands at 52″ tall. 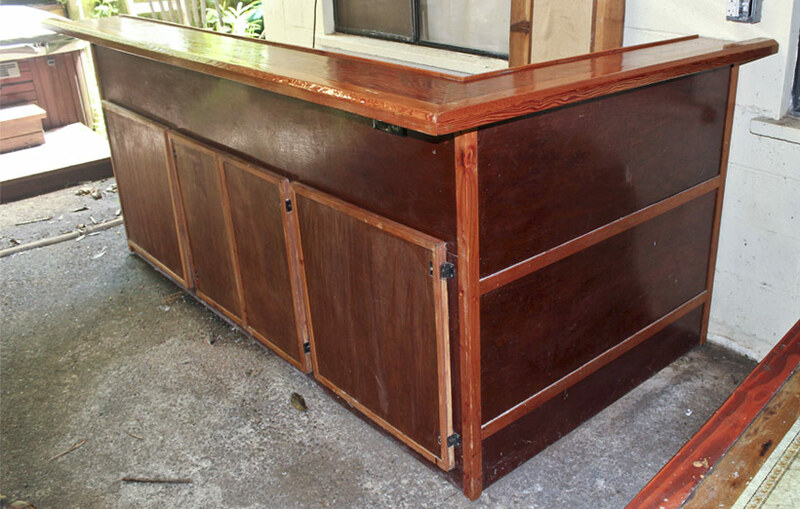 It made a perfect addition to our outside lanai.